The 35.7 acre Castle Rock Natural Area is adjacent to Castle Rock, off Castlerock Ave. This property provides safe, legal access to Castle Rock and eventually, to public lands west of Castle Rock. 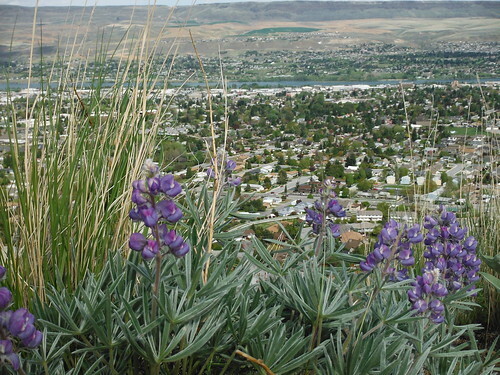 This acquisition is the culmination of years of effort to preserve a key piece of Wenatchee's gorgeous natural backdrop, and is the 4th property purchased through the Wenatchee Foothills Campaign. As with some other Foothills properties, Castle Rock Natural Area is owned by the City of Wenatchee with a permanent conservation easement held by the Land Trust. In 2014, a new trailhead was constructed at the end of Castlerock Avenue, equipped with a sheltered picnic plaza, a restroom, and designated parking. A new, sustainable trail system was also built this same year, providing several small loop options, as well as a route that connects with private conservation property beyond Castle Rock Natural Area. The Land Trust has a trail license agreement with the landowner, allowing public access on designated trails to the Castle Rock formation and the 1-2 Divide beyond. The trail system leaves from the trailhead and provides a few different options for smaller loops. The trail also continues up toward the Castle Rock formation, which is actually on private property. There are public access routes on this private property, but users need to note and respect specific rules at the property boundary. For more details on the Castle Rock trails, click here. This trail system is still being developed, please check back for an updated description and a map.